This is how it’s done. Death mowing down people like wheat in a cholera outbreak. A SCYTHE IS A FARM TOOL, NOT A WEAPON. YES, THIS MATTERS. Let’s get what a scythe is out of the way, because although it’s interesting, it’s not as interesting as why this matters, and how so many artists get this wrong, especially recently. A scythe is a farm tool for cutting down wheat or grass and such, really efficiently. Obvious Note: less physical work is not the same thing as faster. A scythe is not an awkward weapon that has a blade that sticks out at right angles to the pole for some reason, with the edge on the wrong side. A scythe is an elegant mowing machine. In most models, the blade is angled, so that it’s horizontal to the ground when the scythe is in use. Why this matters: a scythe is not a tool for combat between roughly-equal beings. A scythe is a harvesting tool. Death carrying a proper scythe means that human lives are as single stalks of wheat before the blade. Look at that newspaper illustration at top again: that’s what a pandemic is like – death mowing people down like grass. 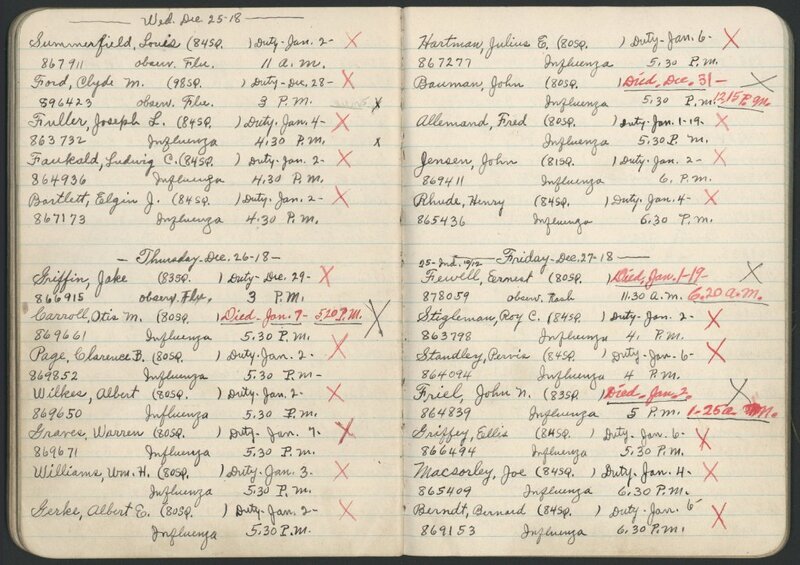 South Beach Hospital admissions ledger. Everybody’s got the flu, and four people are dead in a matter of days. WWI was just wrapping up, and still gets most of the attention, but this flu pandemic still killed more people than the entire infamous Great War, and in a matter of months. Here’s the document source! Yikes. 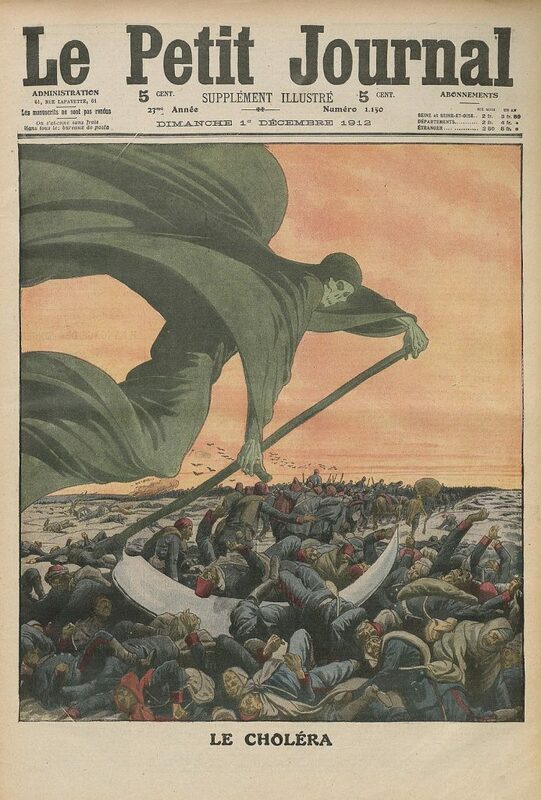 By contrast, our death, the death with a wonky, useless scythe is a much less fearsome entity than the Grim Reaper. This entry was posted in Art and Inspiration and tagged Grim Reaper, scythe on June 5, 2018 by Katherine.